Sometimes, when the planets align just right, the West Coast's best baseball rivalry turns into a supernova that can't be ignored. 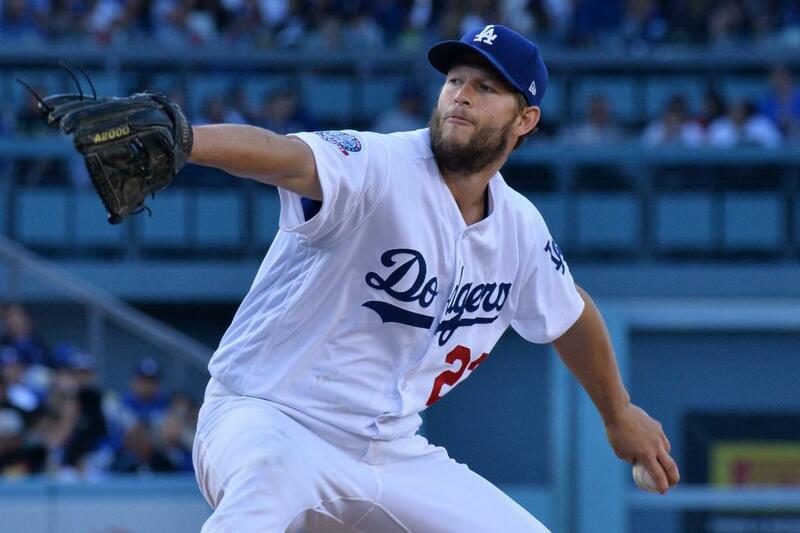 On Monday at Dodger Stadium, it will be another episode of the Los Angeles Dodgers vs. the San Francisco Giants, and with Clayton Kershaw facing Madison Bumgarner, there is even more to anticipate. It will actually be the 11th matchup all time between the accomplished left-handers and the first 10 have been split right down the middle, with the Dodgers winning five and the Giants taking the other five. [post_ads]In those duels, Kershaw has a 2.00 ERA with an 0.81 WHIP, eight walks and 78 strikeouts. Bumgarner has a 2.56 ERA, with a 1.14 WHIP, 14 walks and 71 strikeouts. All time, Bumgarner is 15-20 with a 2.60 ERA against the Dodgers, and Kershaw is 22-10 with a 1.60 ERA against the Giants. And while other pitchers around the league have started to make their claim on best-pitcher-in-the-game status, the two lefties continue to get the job done. Kershaw enters Monday's game with a 2.58 ERA this season and Bumgarner sports a 2.69 mark. The Giants (59-60) will open the series six games behind the first-place Arizona Diamondbacks. The Dodgers (64-55) are alone in second place, one game behind Arizona. A solid showing in the three-game series at Los Angeles could further the Giants' hopes of participating in the postseason. Bumgarner has not given up on the possibility of pitching in October. "We've been counted out plenty of times since I've been here, but we've turned it around," Bumgarner said last week, according to the San Jose Mercury News. "I can't remember a time we were the favorites." That NL West favorite role has belonged to the Dodgers for half of the past decade. The five-time defending division champions made it to the World Series last season for the first time in 30 years, and after a slow start in 2018 they look to be October-bound again this year. In order to get there, though, the Dodgers are going to need their bullpen to do some heavy lifting as it has in previous seasons. It won't be easy now that closer Kenley Jansen is on the disabled list for an undetermined amount of time with an irregular heartbeat. Walk-off victories for the Colorado Rockies over the Dodgers on Saturday and Sunday only heightened the need for relief pitching, so the club moved All-Star starter Ross Stripling into the fold, as well as starter Kenta Maeda. For Maeda, the move will likely cost him salary bonuses tied to starting games. Neither right-hander is expected to pitch in relief on Monday, though. Stripling is expected to be available Tuesday when he is fully rested from a Thursday start. After starting Friday, Maeda will be available in relief on Wednesday. As of now, though, nobody will be named closer. "I just don't think we have a person right now you could just say, 'He's our closer.'" Dodgers manager Dave Roberts said, according to the Orange County Register. "What if it doesn't go well that particular outing -- then do you pivot? If you're naming somebody, you have to give him a runway. That's unfair to the player, to the team."